Ladies and Gentlemen... I have done it! I gave up all solid foods and most importantly, chocolate, for more than a week!!! I was intrigued with the prospect of detoxing and helping your body, while being a part of a community and a movement that strikes much higher than personal self. I won't insist too much on the story, as anyone interested can do a little research, but the movie Hungry for Change really has been a bit of an eye-opener for me. I would recommend everyone to see it. It really contains a lot of information about nutrition and health, out of which not all applies to everyone. You need to filter trough it and really take in the things that resonate. What caught up with me the most, was the fact that all of those people 'speaking' on pretty much the same matters (Kris Carr, Jason Vale, Jon Gabriel, Jamie Oliver, David Wolfe, Evita Ramparte, Frank Ferrante and others) are people who have suffered because of the bad choices they have made, but managed to change their lives for the better, coming out as healthy successful individuals on the other side. They are not scientists or scammers, trying to sell you some fancy product. Of course they are all, by now, endorsing some brands or having various products of their own to sell, whether it is coaching, motivational speaking, bio-produce, rare super-food supplies, books, various guiding programs, etc (people got to make a living). But, the thing they all focus on 'selling' it's actually for free. It is the advice of having a healthy-er lifestyle and making slow, steady changes that actually don't involve that much effort at all, but make a huge difference to the quality of our lives. Now, if that is not appealing, than I don't know what is!! Anyway, I have signed up (for free!!) for Jason Vale's big summer juice detox program and followed through religiously. I was kind of skeptical since I am not exactly the most ambitious person out there, but I totally did it! Surely it helped that I happened to be alone at home, without temptations and didn't have much activity going on this week, but I stand proof that anyone can do it! I felt excellent from beginning to end, very energized, didn't experience any withdrawal symptoms (headaches, nausea, dizziness, etc) from all the chemicals found in the sugary, processed foods (sign that I am on the right track with my diet), was never hungry (actually I barely could keep up with the 5 juices/day that were in the program, cos I was usually full), had no lust over chocolate or any other foods, felt really proud and inspired! As far as the scale goes, I only lost 1kg, but considering that I really made no physical effort, even that is pretty cool. Weight loss isn't the purpose of this detox anyway, but it sure is a welcomed side effect. Now that my body is cleansed, I have slowly started to integrate normal foods, peaches with organic vanilla yoghurt, chia seeds and mixed nuts, salad, fish with steamed potatoes and broccoli... all the good stuff. Don't want to ruin all my hard work by having puff pastries and burgers. Not just yet anyway (hey, life is made to be enjoyed too), with limits!!! 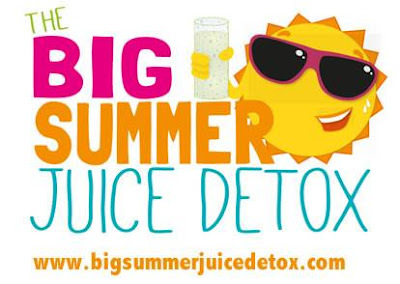 I will continue to put my juicer and blender to good use every morning, or whenever I need a great pick-me-up snack, but it seems that the big juice detox is recommended about twice a year, at least. Glad to see this goal checked off my list. Now it's off to getting fit with regular trips to the gym/pool/tennis court. I'll let you know how that goes! I must say I am not sure I could have done it, so... You go , girl! I got really inspired by your determination and those instagram posts, so I am really motivated to push my goals. Keep it up! That is great! I guess in the end that is how this whole thing works... Some people inspired me, I inspired you, you make sure to accomplish those goals, whatever they are, so you'll inspire others!